NYC Taper was on-hand for the New York City show we played earlier this Fall at The Mercury Lounge. NYC Taper is New York City’s premiere live music archivist. Click here for free access to the recording, as well as another very nice write-up about Wormburner. Here’s Brooklyn Vegan providing great coverage (and PHOTOS!!) of our recent show with The War on Drugs and Dean & Britta. The Dean & Britta set featured a stunning guest appearance by Sean Eden, effectively re-uniting the band LUNA who played their last show together back in 2005. Wormburner was just featured on MTV’s “120 Minutes”. Check out Hank’s chat with pioneering VJ Matt Pinfield. 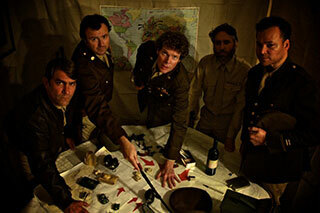 On Saturday July 21st, Wormburner will play the Shine a Light Music Festival with The War on Drugs and Dean & Britta. The event takes place at Mulcahy’s Concert Hall in Wantagh, Long Island. Doors open at 7:00PM, and the Dean & Britta set will include songs from the Galaxie 500 and Luna catalogues (with special guest). It’s all a benefit for the The Tommy Brull Foundation., assisting persons with disabilities in the greater Nassau County area. Click here for tickets. We left it all on the stage last week at The Mercury Lounge. See for yourself by clicking here for some great video footage of the final two songs of our set. Thanks to everyone who came out to the show! And if you’re looking for the best St. Patrick’s Day Party in New York City, members of Wormburner will join a star-studded lineup of musicians and guest vocalists this Saturday March 17th at The Bowery Ballroom. It’s an annual celebration of Irish music (think Pogues, Waterboys, Van Morrison, U2, Thin Lizzy etc) and it’s all being anchored by Booga Sugar. Doors open at 8:00PM. There’ll be a traditional Irish band at 9:00PM, and then the all-star medley starts at 10:00PM. It’s also a worthy benefit for the Thomas P. Cloherty Foundation. Tickets are $20 in advance or $25 at the door. See you there. Our first New York City concert appearance of 2012 is scheduled for Thursday March 8th at The Mercury Lounge . It’s an EARLY SHOW. We are pleased to share the stage with Little Embers , a match made in heaven that’s been a long time coming. Set times are for real. Little Embers hits the stage at 7:00PM SHARP, followed by Wormburner at 8:00PM. See you there! Many thanks for helping make 2011 our greatest year to-date. We toured the West Coast and enjoyed some unforgettable hospitality courtesy of our friends at of KEXP in Seattle. Back East, we played shows with The Walkmen, Deer Tick, School of Seven Bells and even Cracker. The year concluded with a huge outpouring at The Bowery Ballroom, where we enjoyed piloting several new songs for the hometown crowd. The New Year finds us back in the recording studio fine-tuning our new material. Keep checking back for updates on the recording process and upcoming shows. The date is set. 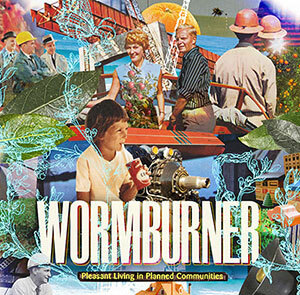 On Friday December 16th, Wormburner hits The Bowery Ballroom stage to continue our annual Christmastime tradition. Once again we will share the bill with familiar faces from Lifeguard Nights and Mad Larry (featuring members of The Bogmen). Newly joining us this year will be Booga Sugar, who will bring it all home with a crisp, closing set of yuletide party classics and sing-alongs. Brace yourself for special guests and a holiday light show provided by BAMiAM. Tickets are on sale now. And don’t forget to pick up a copy of the Wormburner Christmas Single “Bells of St. Ignatius” in the iTunes Music Store for just ninety-nine cents. We just played an incredible outdoor festival date on a perfect autumn day in Hoboken, New Jersey. Also on the bill were The Walkmen and School of Seven Bells . Check out some incredible photos with the glorious NYC skyline as our backdrop, as well as a short video re-cap of the event. Many thanks to h-mag for staging an unforgettable festival. KEXP in Seattle has posted some excellent video footage of WB performing four songs live-in-the-studio on our recent West Coast Tour. Click to view live performances of “Peekskill“, “The Interstate“, “Pike City Proper” and “Breaker Breaker“.